Luxembourg is a nothing country. Yet, according to the World Bank and the IMF, the GDP per capita in Luxembourg was $117,000. 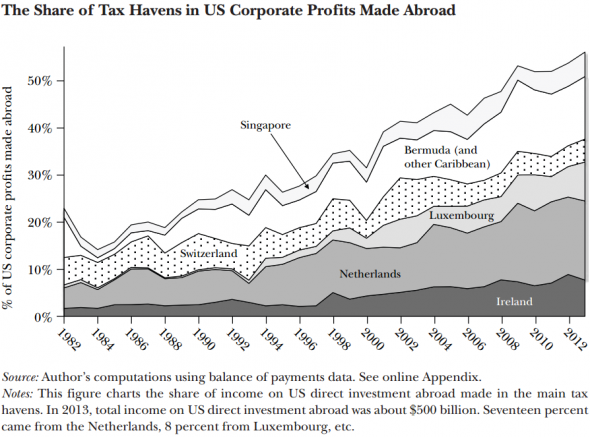 That makes it the richest country in the world (omitting tiny tax havens such as Monaco). And more than half of it is stolen money. Nasty nothings like Luxembourg are, increasingly and subterraneously enraging We The People, all over. Rogue Governmental Tax Thieves Are Stealing The Pillars Of Civilization, To Feed Plutocracy. For 20 years, J-C Juncker led Luxembourg. Juncker made a business to betray the very foundation of Europe. The very foundation of Europe is the principle of SOLIDARITY. Then Juncker was selected to head the European Commission. The wolf was put in charge of the sheep (as Eva Joly, a Franco-Norwegian European MP who was presidential candidate and magistrate puts it). Unsurprisingly, Juncker himself is used as an argument against Brexit. Juncker is junk, the name of one of the greatest fraud ever. People such as Juncker are toxic, even lethal: Juncker just re-authorized deadly chemicals such as BPA, an endocrinian perturbator who turns boys into girls, and vice versa, while giving them cancer. Lethal, and in more way than one. In World War Two, Luxembourg just let itself be invaded, not even with a token 6 hours resistance like Denmark. Whereas France and Britain declared war to Hitler on September 3, 1939. Some will, naively, say that they don’t know why I talk about a major tragedy of history. But the reason I do is that we are going through a major tragedy of history now. The weakening of the tax base of the leading countries of the West has, in particular reduced their might and awe. As a result we enjoy the likes of the Islamist State, Assad… And many other tyrants whose activities are rendered possible, precisely because the leading countries have been weakened… and contaminated by the corruption of the likes of Luxembourg. Now we are facing Brexit, a plot by financial pirates, brokers and professional tax evaders to have “The City”, an official plutocracy in London, to lead the gullible to tragedy. We are facing Brexit in great part because of the plutocratic organization of Europe. And that plutocratic organization is gaining ever more power. Paradoxically, the “Lux Leaks” scandal made advertizing for the mass, governmental tax thievery organized by… Luxembourg: business has never been better. In “Lux Leaks” journalists from 40 international media outlets on Wednesday used leaked documents exposing tax avoidance by major international companies — like Ikea, FedEx, PepsiCo, and Amazon — in Luxembourg through secret deals between that rogue state and more than 300 multinational corporations. cut trillions from their tax payments worldwide. Most of the documents were Advance Tax Agreements, or so-called “comfort letters,” which are rulings determining how businesses will be taxed by the rogue regime’s tax authorities. Luxembourg’s government] has developed a system of tax rulings, which are secret agreements between tax authorities and the companies. Luxembourg has denied the leading countries which defend civilization part of their taxable base. Thus Luxembourg is an active enemy of democracy. Luxembourg is also a paradigm of tax piracy. It is followed by other scavengers such as Great Britain and the Netherlands (who also practice the tax haven trick, industrially). In 1914, and thereafter, the Netherlands collaborated with fascist Prussian-German empire. A young Frenchman who came across documents of Pricewaterhouse Cooper showing the tax stealing of Luxembourg. He communicated them to a journalist who then contacted the afore-mentioned IJC. Both whistleblowers are on trial in Luxembourg, and they are threatened by ten years in jail. Meanwhile the bosses of the companies who stole billions of taxes are free to operate in, say, France. This is the world upside down, and inversion of all values. Seeing tapes of J-C Juncker, tapping in the backs of presidents such as France’s Hollande, or Orban, the leader of Hungary, saying, with a big smile:”Hello, dictator!”, kissing other leaders on top of the head, etc. even a movie such as “The Godfather” feels quaint. 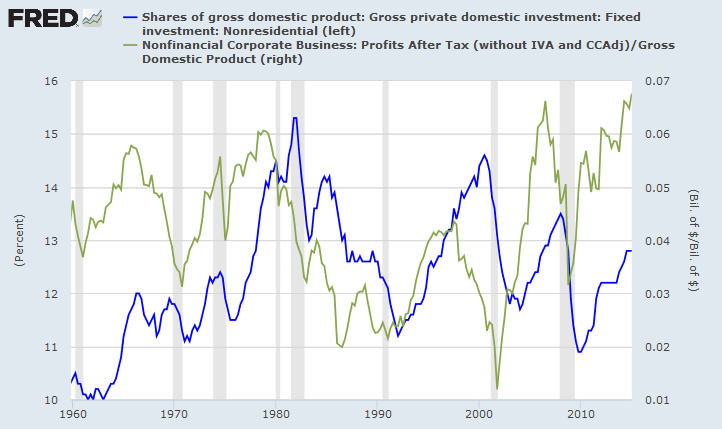 And, indeed, although inspired by the Mafia, the GDP used now with Rogue Government organized Dark Liquidity, Dark money, Tax havens, etc are orders of magnitude greater. Meanwhile, back in the USA, Obama urged at Howard University, an apartheid university for “blacks” to engage into a “more disciplined form of activism”. I guess they should do like him, and collaborate with the powers that be, those who animate the Junckers of this world. Instead of being undisciplined? Anti-plutocratic Tirolean to Common Sense? Is this site attributing the Nobels? It sure looks like it: I approve strongly of three Nobels in a row. Amazing. On Friday, the Nobel was attributed to a French writer who worries a lot about Nazism, Modiano. Then there was the anti-sexist, anti-Islamist Peace Prize to Malala. Today professor Tirole, a French economist at the public university in Toulouse, got the Nobel in economics. Mr. Tirole pondered the best regulations so that large, powerful firms in industries such as banking and communications would act in society’s interest. that’s one of my familiar themes, and I go much further. It’s the first Nobel in economy in 10 years who is not a citizen of the USA. Are we in an increasingly terrible socio-economic situation just from that monopoly? Tirole is the most American of French economists: a “polytechnicien”, he got an economy PhD from MIT. He is depicted as “liberal” (right wing pro-capitalist in French parlance), because he believes in share holders’ rights, and that corporations should just worry about profits. As an extreme left wing progressive nut, I, paradoxically, agree with both points. However how do I reconcile this with what I call “governmentalism”? Well, they go hand in hand. According to governmentalism, the main actor in economics is the government. That’s pretty much obvious and was even true on Caribbean islands ruled by pirates: pirates, too, had government, and it ruled their economy (and that’s true to this day, except the pirates use finance instead of swords). Much of what passes today for the free market is little more than global monopolies, organized crime and deregulated madness. Jean Tirole, defending the real owners, the shareholders, has done important work exposing executive overcompensation, what I call the CEO class, and over-greedy corporate hegemony. “Recent years have seen a literal explosion of pay, both in levels and in di¤erentials, at the top echelons of many occupations. Large bonuses and salaries are needed, it is typically said, to retain “talent” and “top performers” in finance, corporations, medicine, academia, as well as to incentivize them to perform to the best of their high abilities. Paradoxically, this trend has been accompanied by mounting revelations of poor actual performance, severe moral hazard and even outright fraud in those same sectors. Oftentimes these behaviors impose negative spillovers on the rest of society (e.g., bank bailouts), but even when not, the firms involved themselves ultimately suffer: large trading losses, declines in stock value, loss of reputation and consumer goodwill, regulatory fines and legal liabilities, or even bankruptcy. Philosophically it can be explained and said much more simply: a culture of greed has taken over. One should even say a MOOD of greed takes over. Considering recent discoveries in ethology and epigenetics, hell itself is the bottom of that abyss. Indeed. Just like some fishes, according to circumstances, modify their genetics, and females turn into males, and some males even in “super males”, the top officers of today’s society turned into predators predating onto the rest of society. It was high time that some authorities (and the Nobel committee is a small sort of authority) recognizes something in that direction. The work of reflection is just beginning. The philosophy of banking has not been mulled enough. Nor that, more generally, of mighty corporations. Those are gigantic institutions with a para-governmental role. They are big enough to influence governments, society, law enforcement, and the law itself. The immensely rich heads of major corporations are received by heads of states, as if they were other heads of state. Yet, officially, banks and corporations are not led by the social good, and other higher principles, but by greed. Just greed. When those greedsters are celebrated as if they were statesmen, “philanthropists”, or even philosophers or “geniuses”, greed is recognized as philanthropic, and genial. The less we regulate those giant corporations, the more powerful they get, and the more they can change the mind of civilization itself, towards greed. For example executives of Google were loud, clear, and acknowledged by the British government itself, to be of great influence in deciding educational programs: they are credited for making coding mandatory at age 5 in all schools. Are Britons to become all little googlers? Ogling the mighty founders of Google, who travel the world in their personal jumbo jets, while paying no significant taxes, and being received by heads of states on their knees, another proof of their genius? Yet Google siphons its multi-billion Euros profits in Europe through Ireland, to lower its tax bill, and then send said profits to paradise islands with no taxation whatsoever. In other words, Google seems to be an organized crime corporation, as it avoids paying tax nearly entirely. Mafias, and other crime syndicates can only admire such brazen arrogance, and no doubt envy Google after tax profit margins. European regulators condemned Google for cheating with its search engine, to bring itself even more profits, and now say that Google is ignoring their pleas. Yet, we are putting the fate of youngsters under Google’s maniacal guidance. This is just Google, the Do Evil company. All other mighty corporations are applying similar tricks. GE, the oldest company in the Dow Jones, paid no tax for years. Disneyland France, the number one entertainment center in Europe, claimed giant losses, and had to be rescued by Disney (while forgetting to say said losses were from paying giant fees to Disney itself, probably re-routed through some tax heaven). The situation with the banking system is even worse. As Marx noticed, banks have a monopoly. He left it at that. Now we need to talk. A monopoly of what? Banks create most of the money. Thanks to the states. So here we have people, the bankers, unelected and unsupervised, who do not have to justify themselves, operating in secrecy, who, through credit, give most of the money which exists in the world, to whoever they like. It turns out, they love themselves. And, officially, all the motivation that this sort of secret government, by corporations, for corporations, has, is greed. Time to ask them question, observe, study, and regulate them. Economy does not need any more equation to burnish its reputation as a pseudo-science. Economy needs a thorough rethinking, of a philosophical nature. Otherwise the employment situation, which Tirole, after getting his prize, just described as “catastrophic” will only get worse. Employment is, of course, a crucial pillar of democracy: no employment, no democracy. The economy is more now about plutocracy than anything else: Tirole and company have lifted just a little bit of the veil.